Research shows that the majority of venture capital (VC) investments go bust. The model itself is centered around selecting unicorns that will achieve a home run and can cover the costs of other investments in a portfolio that fail. Much has been written about the failures of the VC approach as of late. 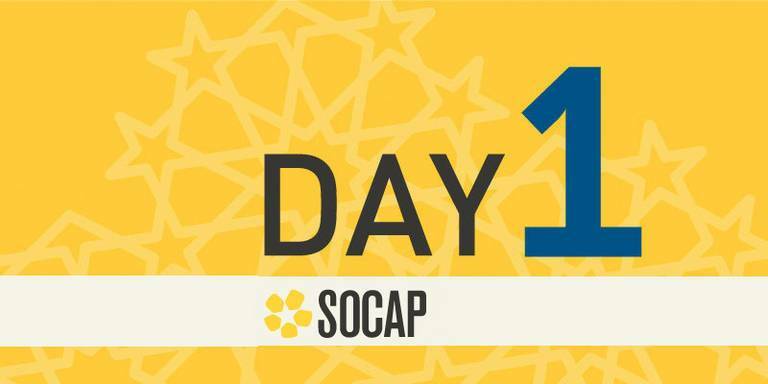 The SOCAP panel “Looking Beyond Venture Capital: Understanding the Need for Alternative Deal Structures,” explored other types of capital that could be more appropriate for social enterprises beyond VC or straight debt. Especially for companies looking to achieve positive impact alongside financial return, it can be incompatible for companies to chase an explosive growth model as they optimize for impact. From the investor side, a VC lens means aiming for investments that can justify the fees and profit-sharing of the fund, and not necessarily optimizing for impact. VC funding is arguably one of the main reasons that Clean Tech 1.0 got a bad rap. VC firms spent over $25 billion funding clean energy technology (cleantech) start-ups from 2006 and 2011, and lost over half their money. Most of the companies simply weren’t ready for prime time. Unfortunately, the impact community is still feeling the ripple effects of this bust. It’s time to take a look at other approaches. “As investors, we put too much pressure on entrepreneurs to constantly innovate. The irony is that investors are some of the least innovative in the impact field,” commented panelist Victora Fram of Village Capital, a global early-stage impact venture incubator and VC investor. We also have to ask the question of who is getting funded in the VC world - to-date it’s been primarily men. It’s a well-documented fact that women entrepreneurs receive drastically less funding than their male counterparts. In fact, in 2016, companies run by men got funding 16 times more than companies led by women. This bias doesn’t end with entrepreneurs, those that are investing the VC also tend to be men, and primarily elite men. This has significant ramifications for the distribution of wealth. If traditional VC financing is being deployed, the very structure tends to prevent wealth from being distributed more equally. Think aggressive returns, extreme pressure to grow, and lots of equity gains for a small few (and less for founders, employees and even other investor groups). For all of these reasons, several investors are taking a different approach. Village Capital already has already developed a unique approach to having entrepreneurs in their incubator engage in a peer-review process to source and diligence additional deals. Now, they are also expanding how they think about their return expectations. So far, they have only made a few investments in an alternative manner, but they see this opportunity growing over time. Recently, Village Capital created a revenue-sharing agreement with a company with a time-bound grace period. They allowed for single-digit revenue-sharing returns until the company grew to a certain level, and expected a 2-3x multiple. Candide Group is an advisor exploring yet another approach. Aner Ben-Ami, a Managing Director at the firm, works on behalf of two families who are taking a full portfolio approach to impact investing. Because they are taking a comprehensive approach, this means they can invest across different parts of the portfolio and are not constrained to one investment tool. Last but not least, Astrid Scholz, CEO of Sphaera, a platform provider for the social change industry, realized during her capital raise process that not only was it more difficult to raise as a woman CEO, but that what she really needed was a flexible line of credit. As a result, she helped launch the XXcelerate Fund to fill this gap in the system. Through this fund, not only can women access lines of capital, but they also participate in an educational program that helps them bolster their financial literacy and connect with other female entrepreneurs. Lingering challenges remain. The majority of the alternative investment approaches discussed are still quite small in the grand scheme of VC investments. To provide some perspective, the average size of a traditional VC investment was $10.9 million in 2016. Village Capital’s example investment was less than $100k, although they are looking into raising the amount to around $250k. Revenue-sharing models with early stage companies can be difficult, so there’s an important balancing act for investors who are seeking greater than concessionary returns. Entrepreneurs can also be concerned about deviating from the traditional VC financing approach. Some are genuinely concerned about their ability to find additional capital later down the line. Therefore, finding entrepreneurs who see value in the short-term cost of some upfront revenue sharing versus the long-term benefit of not diluting their equity will need to happen through improved education. The truth is, entrepreneurs are often perceived to have less power in funding negotiations and will often defer to the investment community. “If anything, it’s the more experienced entrepreneurs that have been through the process of VC funding that get this need and are more cautious about getting involved with VCs,” commented Scholz. Astrid Scholz, also spoke to how Sphaera is working to build a community around Zebra Entrepreneurs - mutualistic companies that are profitable and improve society. Eventually, Scholz hopes to get this community together to learn and iterate around new financing models. This could turn into a backbone organization or investment vehicle later down the line. Another suggestion centered around creating opportunities to scale these new financing models so as not to perpetuate a bunch of one-off approaches. A project called the Impact Terms Project allows investors to upload alternative term sheets into a web-based repository. “We need to create a movement that puts a positive spin around alternative investment approaches to VC,” says Ben-Ami, “instead of saying ‘these are not venture-backable,’ we should be making this into a positive thing to align incentives more closely to create the positive impacts we’re looking for.” This involves educating business students, organizations that support entrepreneurs, and also fund managers. As impact investing reaches a greater portion of the investment community, it’s time for the investors to start innovating - the question is are they ready to be as innovative as the entrepreneurs they’re investing in?